9. Which neighborhood should I live in? 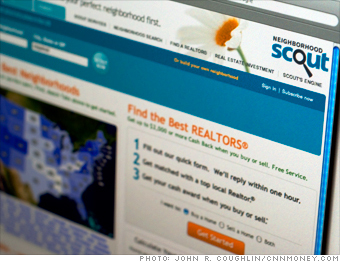 Narrow down your house hunt by clicking on the site's Find tab. You'll get an interactive map that lets you compare neighborhoods by factors such as crime rates, quality schools, or even whether the area is a good place for retirees. You can customize searches by home price and population density too. "It's a good first place to start," says West Palm Beach, Fla., real estate agent Jesse Bailey. Caveat: The Find maps let you see how neighborhoods compare based on a custom score, but if you want the actual crime stats or school test scores for a neighborhood, you have to pay ($29.99 for one month). Coolest feature: Enter an address in a neighborhood you like; the site will show you similar ones in another town. Try this too: To see if a house is near shops and restaurants, check Walkscore.com. NEXT: 10. Where can I find sellers ready to deal?